With AEQ215 you get precise and reliable sound-shaping control. It’s built to last and perfect for any pro audio application, offering the essential EQ features you need for either straightforward spectral balancing or enhancing particular sonic characteristics. Use it for studio recording, live sound and everything in between. This stereo 15-band graphic EQ has a 117 dB signal-to-noise ratio and an all-metal design. What’s that mean for you? — ultra-low-noise frequency control in a rugged package. 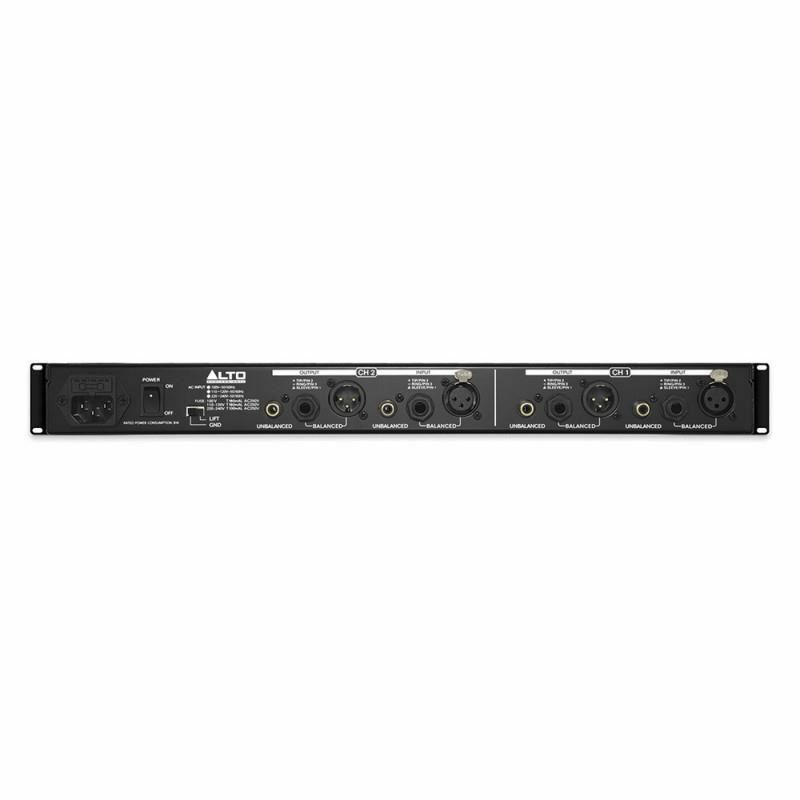 AEQ215 also features balanced XLR, 1/4” TRS and RCA input and output connectors, fixed high-pass and low-pass filters, variable input level controls, and constant Q filtering, which gives you accurate and predictable EQ response. AEQ215’s bands are spaced 2/3-octave apart and it offers selectable boost/cut ranges of 6 dB or 12 dB for detailed gain control. Sennheiser MKE 400 Shotgun MicrophoneRugged, compact and versatile for great video sound: The MKE 400 is a small shot gun microphone for cameras with a lighting shoe mount and external microphone input.FeaturesRugged all-metal housingMaximum side noise rejection, optimised for video recordingsSwitch..
Proel SW-118A Compact active vented sub-wooferThe SW Series is a range of sub-woofers designed to complement PROEL full-range passive or active speakers. The variety of size, power and SPL offered by the five SW models provides the perfect low extension solution for any speaker model available in th..
Amplifier Gitar Behringer Ultracoustic ACX-450ACX450 dilengkapi dengan 2-channel dan memiliki speaker 8 inch untuk kesetiaan akustik sejati. Ultracoustic ACX-450 dilengkapi dengan 2 prosesor FX independen dan ultra-musik, 5-band EQ grafis untuk setiap saluran ditambah dengan FBQ Feedback Detection r..
Mackie DL1608 16-Channel Digital Mixer​The Mackie DL1608 and DL806 redefine live mixing by combining the proven power of a full-featured digital mixer with the unmatched ease and mobility of an iPad. Seamless wired to wireless mixing allows control from anywhere in the venue giving you the ultimate ..